Black Military Type 7x50mm Binoculars | BUDK.com - Knives & Swords At The Lowest Prices! Are you tired of buying another set of cheap binoculars every time you need some? Always have some on hand with these military type binoculars! 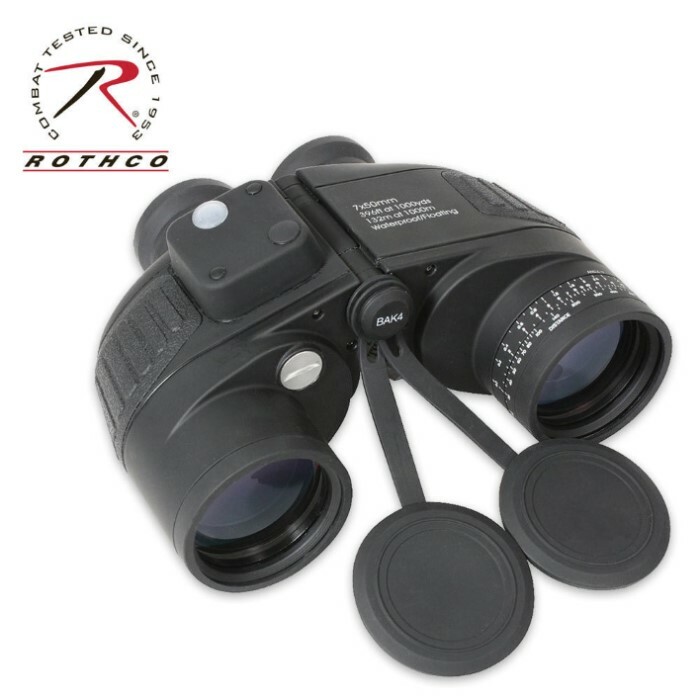 Waterproof and fog proof, these binoculars feature a built in compass, range finding reticule and a range finding dial. These binoculars are nitrogen filled and have an O-ring seal, making these binoculars buoyant. You'll never have to buy another pair of binoculars again!